What's the secret to becoming a multigenerational advisor? What exactly is a multigenerational advisor and what does it take to make it a vital part of your practice? We spoke with an expert who's finding success in the field. Being a multigenerational advisor has become a hot topic these days in the insurance and financial services industries. We spoke with Stephen DeCesare, CFP®, and founder and president of DeCesare Retirement Specialists, to get his thoughts on what it means to be an effective multigenerational advisor. Following are highlights from that conversation. How do you define “multigenerational advisor”? As the name implies, I define multigenerational advisor as financial professional that works with more than one generation of a family, meaning, grandparent to parent, parent to child, and in some instances, grandparent to grandchild. I find that working in the retirement space yields great opportunity to specialize in this niche. More times than not, different generations are included in the various parts of a financial plan. When you are advising older clients, they more than likely have children or grandchildren that need to be informed and involved in the critical financial decisions relating to their long-term care needs and estate plan. How has being a multigenerational advisor grown your business? I am a second-generation financial planner and have been fortunate to have had worked with my mother and her clients. Multigenerational clients became a significant part of my business primarily because of my mother’s aging client base. When I came onboard, many of her clients needed assistance with their long-term care planning and transfer of estate. I worked closely with client’s families throughout the process and more times than not, their appreciation for the work we did for their family members earned their trust and eventually they too became clients. This also changed the dynamic of the business, we shifted in helping those in their 70’s and 80’s to a much younger demographic of 40- and 50-year olds with children. In working with different generations, you might talk to people ranging from their 20s to their 90s. In doing so, how does your message change? I think the broader message always comes down to the individuals’ financial needs. However, when working with 70- to 80-years old we concentrate on current income, legacy, estate and medical needs. Their primary concern is to not burden their children. They want to be able to take care of themselves financially and physically. When our clients are in the 40- to 50-year old range, we tend to focus our planning efforts on retirement income and long-term care planning. For younger generations our priority is to assist them with establishing the foundation for a sound financial plan that focuses on building wealth, balancing a budget to support their growing family, life and disability insurance, and saving for retirement. Do you use different marketing or forms of communication (I.e. Face to face vs. mobile phone) in talking to them? We find that our older clients prefer a personal touch, meaning home visits and discussing their financial plan over coffee and tea at their kitchen table. They tend to favor mail over email, although we still send both, and they appreciate more frequent contact by phone. In contrast, our younger client generations like to communicate via email and are very responsive. They tend not to require as many meetings throughout the year, and although, it’s not my particular favorite method to communicate, they are very comfortable communicating via text message. How much do the products and planning change, say, from a grandparent who’s a client to their child or grandchild? Do you have an example of such a family you can discuss anecdotally? Products and planning strategies change significantly from generation to generation. When it comes to asset management, clients of different generations could have similar holdings, but the allocation will differ based on their penchant for risk and timeline to retirement. Additionally, some products may be only appropriate for certain generations and used differently depending on their stage in life. Someone in their 70’s may not qualify for long-term care insurance or it may simply be prohibitively expensive and a different solution is needed. Whereas someone in their 50’s may want to consider long-term care insurance as it’s affordable and they can qualify. 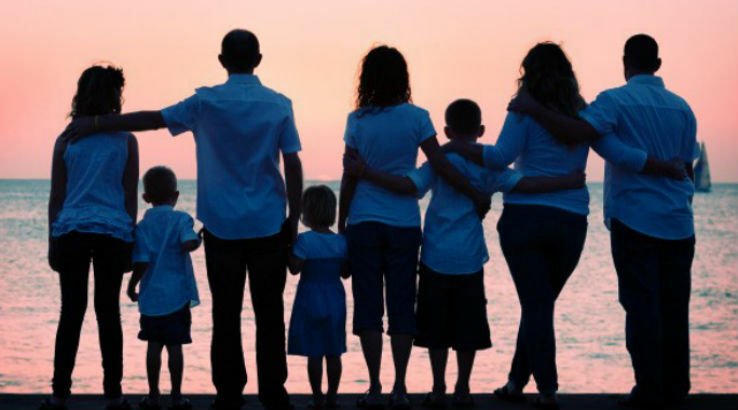 They may also want to consider life insurance as a possible estate planning tool to supplement income or replenish assets for the surviving spouse. In contrast, someone in their 30’s with a family may require life insurance to protect their finances in case of an untimely death and disability insurance as an income replacement option in case of a disabling event. As for a client example, at the time, my client was in his 30’s. He introduced me to his father, who was in his late 60’s and nearing retirement. My investment recommendation was for a balanced portfolio of about 50 percent stocks and 50 percent bonds. His son held the same mutual funds and ETFs but I applied a different model resulting in an 80 percent stock 20 percent bond allocation. Since the son’s timeline to enter retirement was 30 years away, he was willing and able to assume more risk. But his father who was entering retirement in just a few short years was more concerned about capital conservation rather than capital appreciation. Similarly though, they both required life insurance but for different reasons. The son needed coverage to protect his family against an untimely death, which would result in the loss of his income. The father wanted life insurance to replenish assets post mortem in the event of assuming long term care costs in his final years. How do you get your foot in the door with multi-generations? I mean: if you have a client who is 75, how do you then get in front of their children or grandchildren? Is this something you ask for directly? what’s the method? Regardless of age, the topics of estate and long-term care planning naturally open the door to the discussion of other family members and their finances simply because other family members tend to be involved with those planning areas. Depending on the circumstance, it’s not always appropriate to ask directly. For instance, when assisting with estate transfer, it’s a delicate time and requires extra sensitivity and care when working with the family. I believe that if you follow through with your work in a professional and compassionate manner, you will find that they will seek you out; you won’t have to ask. If it’s an older client and we are discussing a part of their financial plan that involves the children, I invite the children to attend our next meeting. At the meeting I have the opportunity to get everyone on the same page when it comes time for the children to be directly involved and when warranted we can start the discussion of their specific financial options and needs. When we meet with clients, they share so much about their lives and we get to know them on a personal level. A lot of the time there are big life events happening, marriage, grandchildren, graduations, job transition, and so on. Big life transitions tend to correlate with big financial decisions, and can be a great opportunity to ask if someone needs help. If your advice can add value to someone’s financial life, then that’s the opportunity and time to ask. I’ve been fortunate to work with a family that comprised of a 90-year old grandmother, her 60-year old daughter, and 28-year old grandson. How much of your business is made up of multi-generation families? Multigenerational clients tend to be larger clients for our firm. Approximately 30 percent of the assets we oversee are from multi-generation clients. What advice can you give other advisors on growing a multigenerational business? The advice I would give to others when growing a multigenerational business actually comes from my mother – strive to build relationships that people consider familial. If you treat them as your own family, they will do the same in return. A big part of that advice includes protecting your client’s legacy. You should be working with your clients and their estate planning attorney.